2018 has been a year of landmark moments for the transgender community, leading to increased visibility and awareness across the country. This week, to mark Transgender Awareness Week, we’re taking a look back at the year and shining a light on ways that understanding and acceptance of the transgender community has grown. Take a look, and come back Monday for the third and final part in this special Transgender Awareness Week series. Click here to read Part 1 (about policy victories for transgender people at the state and local level). On Election Day 2018, more transgender candidates were on the ballot than at any other point in history. 2018 saw candidates run at all levels of government, from city councils to seats in state legislatures to state governorships. Christine Hallquist became the first ever openly transgender person to run as a gubernatorial candidate on a major party ticket when she ran as the Democratic nominee for the governor of Vermont. While she did not clinch the position, she blazed an important trail and broke a crucial threshold for visibility of transgender people. Three transgender people were elected to serve in state legislatures this year as well! Gerri Cannon and Lisa Bunker will serve in the New Hampshire House, and Brianna Titone triumphed to become a Representative for Colorado. 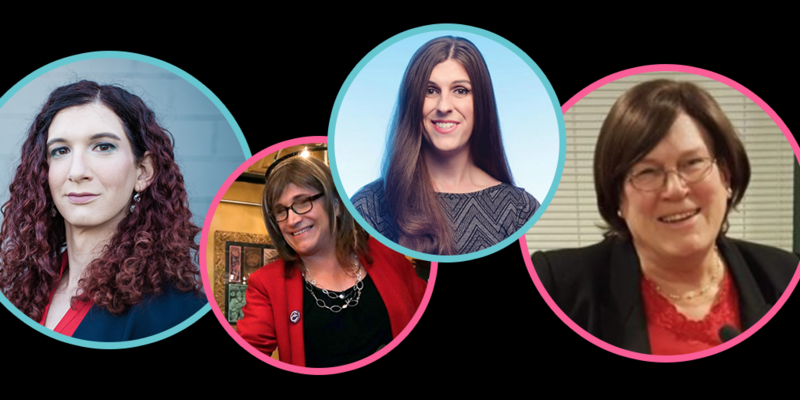 Their wins follow Danica Roem’s 2017 victory, when she became a State Delegate of Virginia, the first out transgender person ever elected to a state legislature. 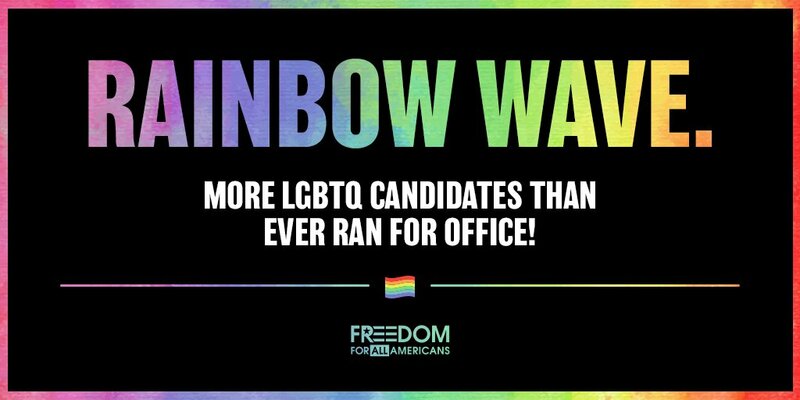 These victories came in addition to the wild success of lesbian, gay, and bisexual candidates across the country, including Jared Polis in Colorado (the first out gay male to win a governorship), Kyrsten Sinema in Arizona (the first out bisexual person to win a U.S. Senate seat), and Kate Brown (the first out bisexual person elected to a full term as governor). A number of candidates will become the first openly LGBTQ people to represent their states in the U.S. House of Representatives – including Angie Craig from Minnesota, Chris Pappas from New Hampshire, and Sharice Davids from Kansas, who is also one of the first two Native American women elected to the House this year. Representation matters – and every time an LGBTQ person is elected to represent their communities, it’s important. It’s important because LGBTQ people are a part of the country and have unique needs and challenges that should be represented by lawmakers. But it’s also important because it demonstrates growing momentum for LGBTQ equality in these communities and beyond. We’ll need that momentum in our continued work to illustrate to federal decision-makers that it’s time for comprehensive nondiscrimination protections nationwide. You can do your part to support LGBTQ nondiscrimination protections, too. Click here to join us in celebrating this momentum and committing to push forward for federal protections for LGBTQ people.